We will continue to update special discounts for RFIDsec attendees below. 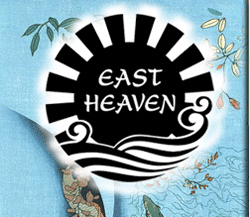 The East Heaven & Paradise Spa is offering a 20% discount on all services for RFIDsec attendees June 25-28. Make sure to show your RFIDsec registration receipt or name badge for the discount. The wooden hot tubs and massage therapy are world renown. Perfect for a group of researchers to relax after long transatlantic flights or when your RFID implant is making your muscles tight. Reservations are recommended due to the popularity of the services, especially weekends. A number of activities await the adventurer in you! The towns of Amherst and Northampton are cited as #1 of the top 5 college towns in the USA! The restaurant scene is unusually strong. Thai, African, serious Chinese (the owners run an organic Chinese vegetable farm, which is the source of their numerous vegetable dishes), the best ice cream known to man (including a shop run by Steve Herrell, the guy who invented the gourmet ice cream biz, as well as mixins), French, Indian, Korean, Mexican, Argentinean, Moroccan, plus a ridiculous (the New York Times says "unsustainable") number of sushi restaurants. The area is also a mecca for beer connoisseurs, with the #1 beer bar in America, according to the Beer Advocate magazine -- the Moan & Dove (the site of our monthly faculty beer), surely matched by their newly-opened sister bar in Northampton, The Dirty Truth (see more on the Beer Advocate's page). The 4th of July celebration attracts thousands of people to the esplande in Boston with live music and spectacular fireworks. Hike Mount Tom overlooking the Connecticut River. Where did the German nursery rhyme "Ich bin so satt, ich mag kein blatt" come from? Well, visit the Eric Carle museum in Amherst. Row on the Connecticut River. If you row hard, you'll end up at Dartmouth College. Don't like planes? Bike to Amherst. There are miles of bike paths connecting cities. Rent a bike and check out the Norwottuck Rail Trail and its friends. The New England Air Museum is owned and operated by the Connecticut Aeronautical Historical Association, a private, non-profit educational institution organized in 1959. Located at Bradley International Airport in Windsor Locks, the Museum is the largest aviation museum in New England.